It's that time of year again, its Thanksgiving weekend. We spend Thursday catching up with our loved ones, we see pictures of people’s horrible thanksgiving plate while enjoying ours, we get tired of hearing the same stories over again. After all that is done, we plan on going black Friday shopping but end up never leaving the house. The main reason we don’t leave is to prep for the last part of the Thanksgiving tradition. 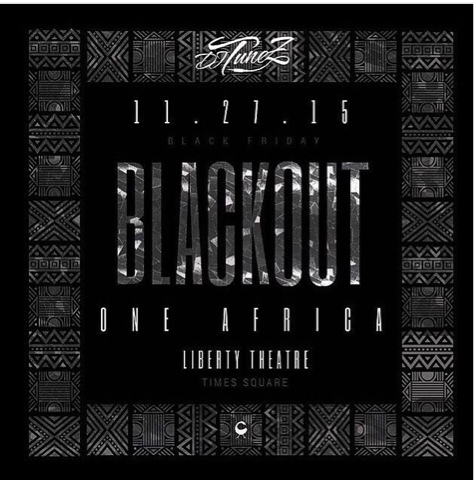 DJ Tunez’s Black Friday party. For those who aren’t sure what to expect, please click the link to get a sample. The nygerians will be live and direct this Friday… See You there. Check flyer for Info.